What Do Hedge Funds Have to Say about the Upcoming Merger between PMC-Sierra and Skyworks Solutions? Most investors don’t understand hedge funds and indicators that are based on hedge funds’ activities. They ignore hedge funds because of their recent poor performance in the bull market. Our research indicates that hedge funds underperformed because they aren’t 100% long. We uncovered that hedge funds’ long positions actually outperformed the market. For instance the 15 most popular small-cap stocks among funds beat the S&P 500 Index by more than 60 percentage points since the end of August 2012. These stocks returned a cumulative of 118% vs. a 58% gain for the S&P 500 ETF (SPY) (read more details). That’s why we believe investors should pay attention to what hedge funds are buying (rather than what their net returns are). “With our acquisition of PMC, Skyworks will be uniquely positioned to capitalize on the explosive demand for high performance solutions that seamlessly connect, transport and store Big Data. Specifically, we plan to leverage PMC’s innovative storage systems, flash controllers, optical switches and network infrastructure solutions to expand our engagements with some of the world’s leading OEMs and ODMs as well as emerging hyperscale data center customers. At a higher level, this complementary yet highly synergistic acquisition is consistent with our stated strategy of diversifying into adjacent vertical markets while leveraging our system-level expertise and global scale. PMC enables us to substantially expand our serviceable market within some of the fastest growing segments in technology including cloud storage and optical networking. Financially, we expect this transaction to create further economic value for our shareholders upon closing, with immediate margin expansion and accretion. After we implement $75 million of synergies, we expect at least $0.75 of incremental non-GAAP diluted earnings per share on an annual basis”. 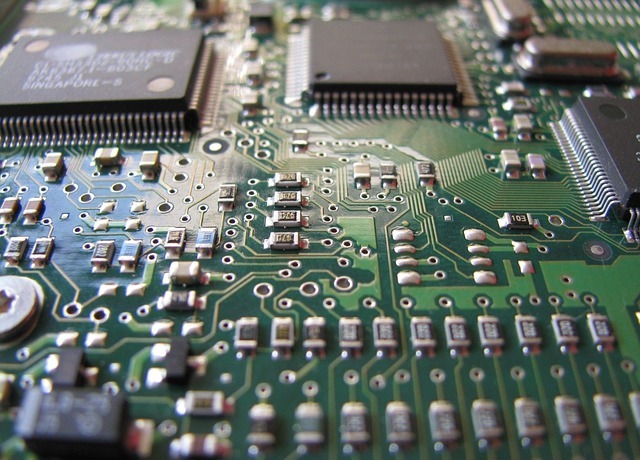 The semiconductor industry has seen a wave of M&A as the era of cheap debt comes to an end. Many semiconductor companies are selling themselves or buying others to cut costs and gain economies of scale. Intel bought Altera while Avago Technologies bought Broadcom. Skyworks buying PMC-Sierra Inc (NASDAQ:PMCS) is just the latest merger in a long line of mergers. Many mergers don’t go as planned and many promised estimated synergies don’t materialize. Skyworks has been a reasonably good acquirer so there is no reason to think management won’t realize $0.75 in incremental non-GAAP earnings, but investors do need to be cautious. Our data show that hedge funds were mixed on Skyworks Solutions Inc (NASDAQ:SWKS) in the second quarter. Although the number of funds decreased to 36 from 38, the total value of their holdings in the stock increased to $808.22 million (representing 4.10% of the float) from $752.12 million. Cliff Asness‘ AQR Capital Management increased its position by 3% to 2.34 million shares, while Peter Rathjens, Bruce Clarke and John Campbell’s Arrowstreet Capital inched up its stake by 1% to 1.19 million shares. Going the other way was Peter Muller’s PDTPartners, which trimmed its position by 40% to 259,785 shares.